I know... I know... another salted caramel recipe... I just can't help myself because it tastes so good! Plus it was honestly the first thing that popped into my head once I decided to make a chocolate tart. One I had my pastry case in the oven I set about making my salted caramel sauce, which involved boiling brown sugar, cream, and butter together until it looked vaguely like caramel. Then once my case was baked I poured a little of the caramel sauce right into the base of the case and left it to set slightly. 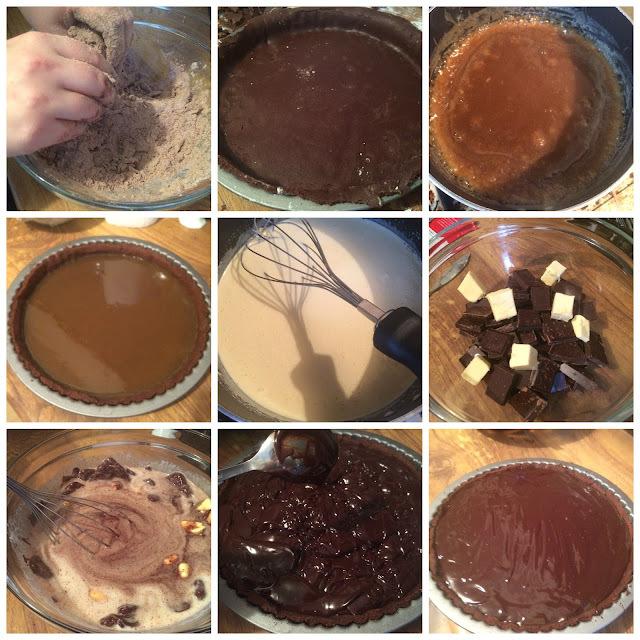 Then I got to work on the chocolate filling, the process of which is very similar to the making of chocolate ganache. I boiled cream, sugar and vanilla essence over the hob and then poured them over chocolate and butter, whisking until smooth. I then simply spooned the mixture over the top of my caramel and smoothed it over. This then went into the fridge to set for two hours. 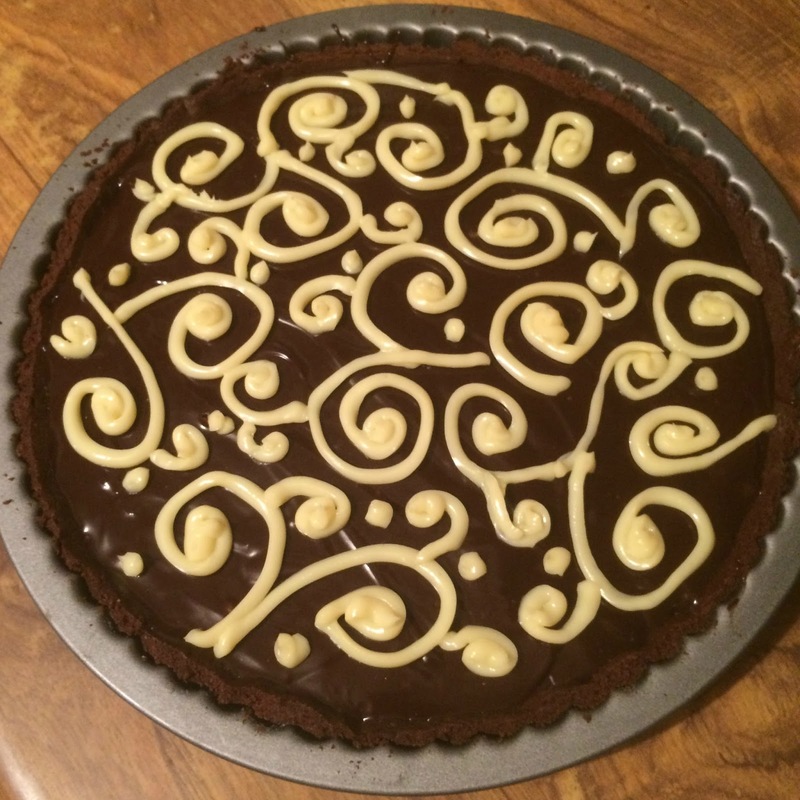 For some reason I decided that my decoration hasn't really been up to scratch and us such I decided to attempt to pipe an intricate design onto my tart. I did this using left over white chocolate I had from last week's bake, which I then piped into a swirling pattern.